Seems like 3D makeup products is a new trend in industry for this year. 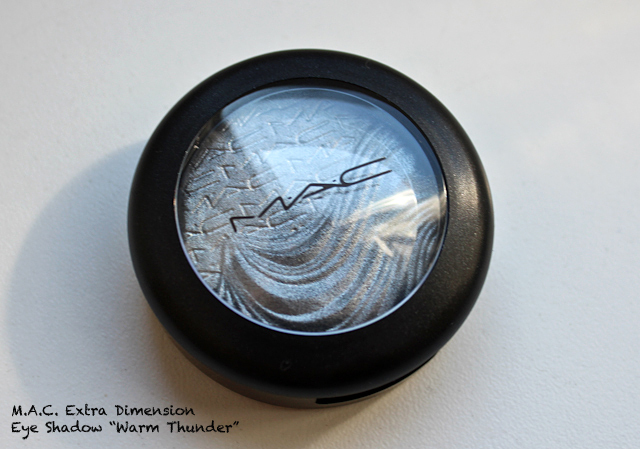 Another interesting addition to my collection were MAC In Extra Dimension Eye Shadow «Warm Thunder». Availability: at MAC counters since early April. Price: 20$ for 2 gr (US). 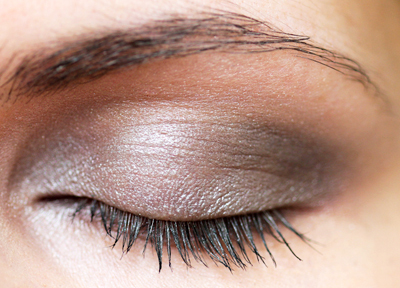 Final Thoughts: These eye shadows are interesting both in looks (3D surface) and formula. New «water-in-powder» (???) formula is the most existing part for my. It is some variation of «cream-to-powder» — smooth, silky application, soft to the touch, but still not creamy and not quite «cream-to-powder». 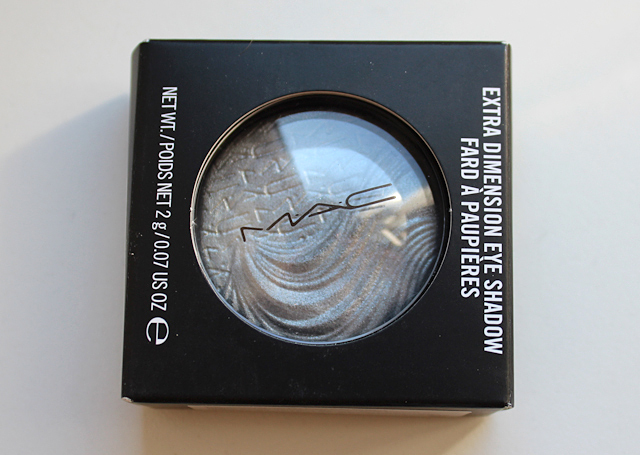 My shade is very wearable, lasting (6-7 hours, which is definitely better than regular MAC eye shadows line, that stays on my lid up to 4 hours only). 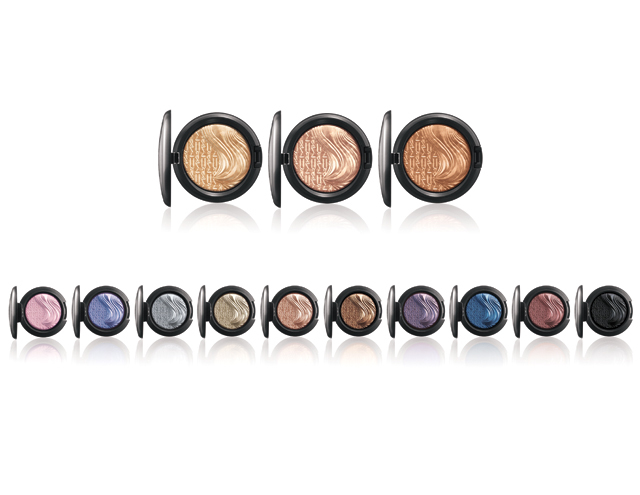 They are easy to apply, blendable and easy to wear with other non-MAC shadows. 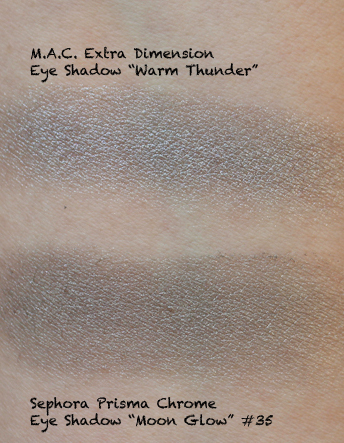 Comparing to Sephora Prisma Chrome that I’ve shown recently, MAC In Extra Dimension is more creamy, softer, better pigmented and overall impression is better (but more expensive). 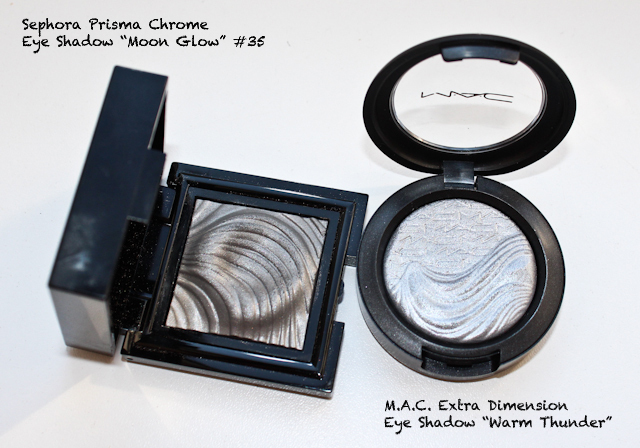 Though Prisma Chrome is still good, but in comparison with MAC is more of pressed powder shadows. Please, read my review in Russian for maximum details on the product. Color details and swatches are given below. 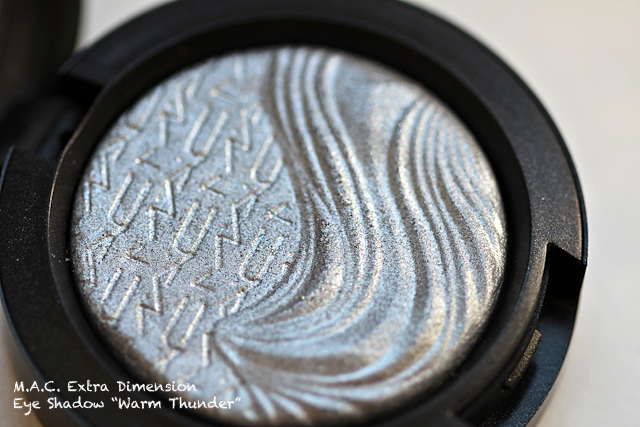 Warm Thunder — is a very light silver, cool, delicate metallic finish during the day, electric silver under flash or electric lights. Good pigmentation and color pay off. For the photos below I’ve used «Warm Thunder» laid over cream UNE cream shadow of neutral color (used as primer) and NARS Abyssinia was use as under brow highlighter (give very delicate, creamy-pearl effect). 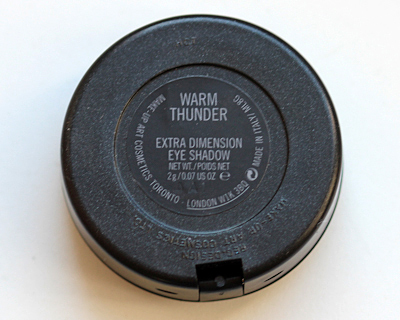 *Item reviewed in this post was sent for consideration by my PR-contact in M.A.C. 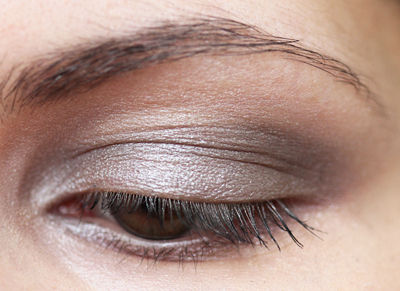 Рубрики Без рубрики · Метки color-silver, m.a.c.